ELMHURST – Leaning cautiously against a poorly-supported section of chain link fence that forms a perimeter around the recently-ravaged York Commons Park, Public Works Committee Chairman Jim Kennedy told reporters Tuesday morning that self-centered Crescent Avenue homeowners who frequently experience flooding are to blame for the “horrendous” sight of tree removal and digging underway at York Street and Cayuga Avenue that will culminate into a loathsome 11-acre detention pond, part of the controversial York Commons Stormwater Improvement Project that was approved by the Elmhurst City Council last Monday. Scheduled for completion over the winter, the $2.1 million plan to create flood storage in the open portion of York Commons Park is intended to reduce the risk of flooding in three southwest sections of Elmhurst, including 38 homes along Crescent Avenue. Selfish and boisterous homeowners in that area were the primary reason why Elmhurst was forced to address the flooding. Kennedy was clearly emotional as he issued an apology to the majority of Elmhurst residents unaffected by flooding that must somehow weather the inconvenience of stormwater improvements going on throughout the city that are not benefiting them directly. While a small minority of Elmhurst residents who experience flooding were thankful for the decision by Elmhurst to move forward with the project despite the resistance of more important citizens, others never affected by flooding were concerned with the appearance of a giant hole in the ground that will undoubtedly grow dandelions during the summer and will result in multiple traffic halts on York Street as ducks try to reach standing water that will build following heavy rain. Other non-flooding homeowners expressed apprehension over the clear site line into the skate park and Smalley Pool that has been temporarily created after the trees were removed at the beginning of the project. 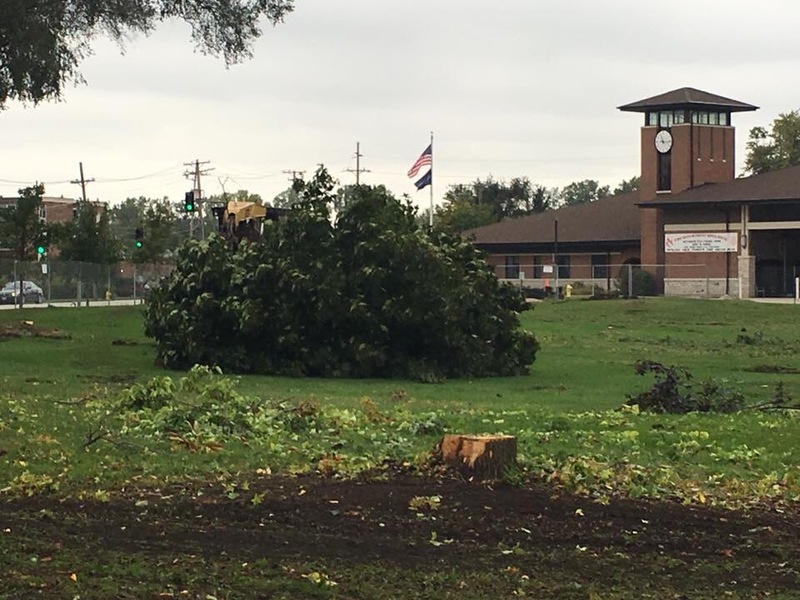 The York Commons Stormwater Improvement Project was finalized after the city entered into an intergovernmental agreement with the Elmhurst Park District to provide the 11 acres for stormwater detention. The negotiation process between the city and the park district was “Easy peasy”, according to Kennedy.